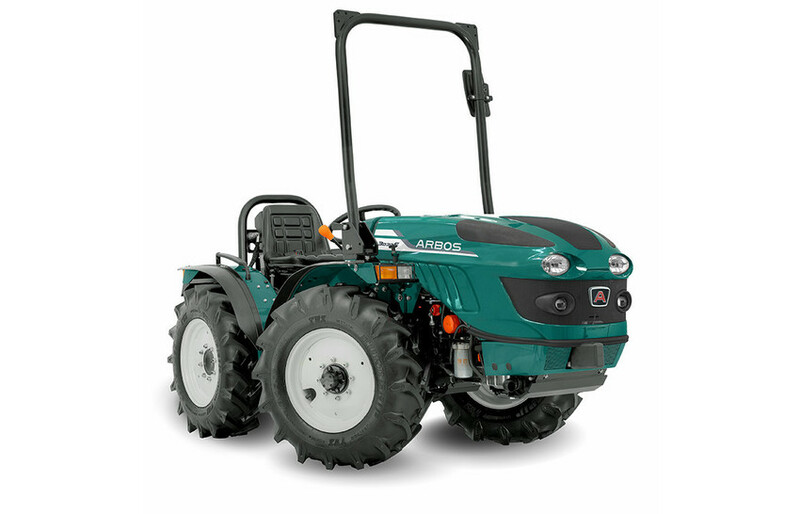 The new equal-wheels ARBOS tractors present themselves renewed and compliant with the new TMR 2 norms (Tractor Mother Regulation). The combination of a tapered chassis, a reduced steering radius, four-wheel drive and the powerful 25, 33, 38 or 48 HP direct injection engine make the 3000 E the ideal machines for working between narrow rows in vineyards and low-hanging orchards with limited room to manoeuvre. The compact loadbearing structure of this model ensures the centre of gravity remains low and close to centre of the machine, enabling optimal weight distribution for safe operation, even when using very heavy tools.